Nunavut tourist information with details about travel to and around Nunavut. Where to stay and what to see is made easier with insider tips and hand-selected Nunavut links, by dedicated editors and visitors to TravelNotes.org - The Online Guide to Travel. 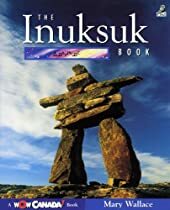 About Nunavut, Nunavut Accommodation, Nunavut Attractions, Nunavut Tourism, Nunavut Tours, Nunavut Transportation, Nunavut Weather. The capital of Nunavut is Iqaluit. Settled by indigenous people over four thousand years ago, Nunavut, which means 'our land' in Inuktitut, is the newest and largest federal territory in Canada. English-Inuktitut weekly newspaper that has served the people of Nunavut and the Nunavik region of Arctic Quebec since 1973. As part of the Nunavut Land Claims Agreement, a new Canadian territory called Nunavut, came into being in 1999. Book Nunavut hotels online to save yourself time and money. Find hotels in Iqaluit, Nunavut with special online rates. The Kitikmeot Heritage Society preserves and promotes the oral traditions, place names, language, culture and archaeology of the Inuit of the Kitikmeot Region of Nunavut. 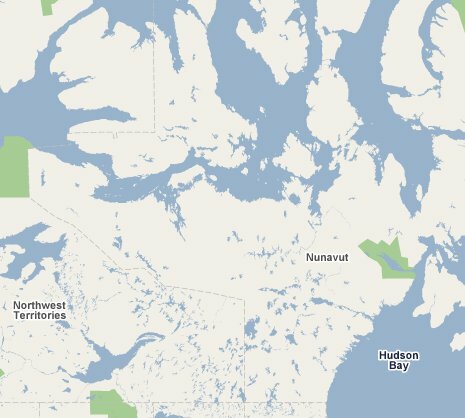 Find out more about the new territory of Nunavut, just don't call the Inuit people Eskimos. The official website of Nunavut Tourism offers visitors the online resources needed to help research and plan an unforgettable adventure of a lifetime. From Winnipeg, Manitoba in the south to Repulse Bay on the Arctic Circle, Calm Air operates frequent, daily scheduled flights throughout Manitoba and the Kivalliq Region of Nunavut. Major Calm Air bases and connection hubs are located at Winnipeg, Thompson and Churchill in Manitoba, and Rankin Inlet in Nunavut. View a graphical weather forecast for the week ahead in Nunavut. Baker Lake, Cape Dorset, Iqaluit, Inukjuak, Rankin Inlet. Newfoundland, Northwest Territories, Nova Scotia, Ontario, Quebec. Nunavut - Map of Nunavut.